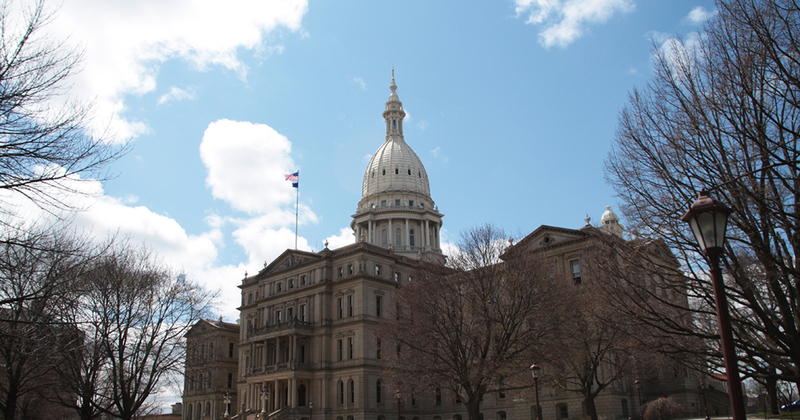 The state House of Representatives recently cut funding for the Michigan Economic Development Corporation with the goal of freeing up money for roads. This reprioritization of spending is prudent, but it faces opposition in the state Senate. A good deal of empirical evidence supports the case that government economic development policies — otherwise known as corporate welfare — are ineffective at achieving their goals of faster economic growth, increased employment and greater diversification. A few years back one of the study’s authors (Peter Fisher) was asked by The Detroit News whether eliminating the Michigan Economic Growth Authority, then the state’s flagship business subsidy program, would amount to “unilateral disarmament” given that other states have similar programs. “Of course you can unilaterally disarm when you’re talking about an incentive — like the MEGA tax credit — that isn’t very effective anyway,” he said. 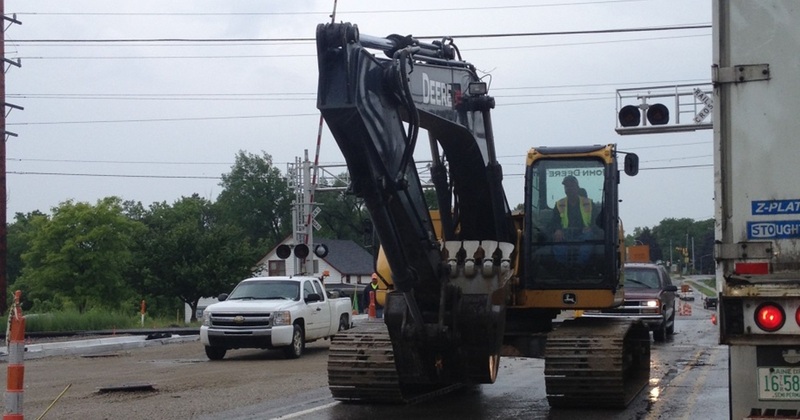 Before it was repealed in 2011, MEGA was arguably the most costly economic development program in this state’s history. Over the past decade the program was the subject of four methodologically rigorous studies. The empirical evidence on its performance is not, on balance, positive. It suggests the smaller subsidy programs that remain are unlikely to do better. Two of these studies were performed by the Mackinac Center for Public Policy. One of these found in 2005 that for every $123,000 in tax credits offered by the program, just one construction job was created — and that all of the jobs created by the credits disappeared within two years. The other study, published in 2009, found that for every $1 million in tax credits delivered to a project there was a decrease of 95 manufacturing jobs in the county where it was located. In 2010 the Anderson Economic Group ran the numbers on MEGA. 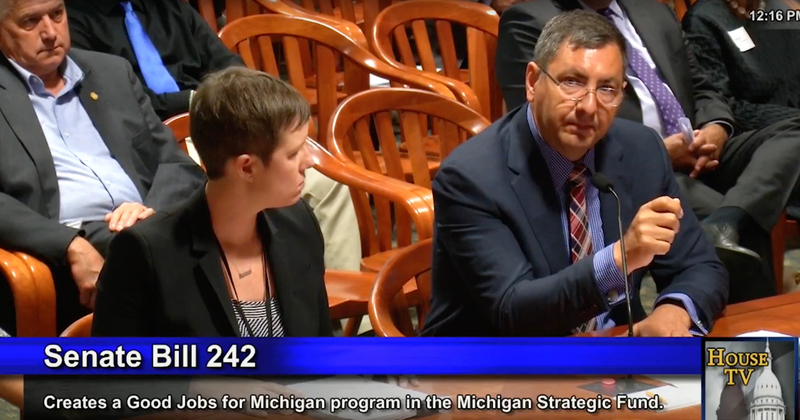 It found that had Lansing cut business taxes across-the-board rather than doling out MEGA favors to a lucky few firms, Michigan businesses would have created 8,200 more jobs. Only one of the four studies purported to show a positive impact from MEGA, and even then the impact was very small. It was authored by economists at the W. E. Upjohn Institute for Employment Research, and disagreed with the Mackinac Center’s interpretation of the data on MEGA. You can read the Mackinac Center’s rejoinder here. If MEGA’s massive subsidies and selective tax breaks were ineffective, there is little basis to expect different outcomes from its small-fry brethren. One of these is the indirect tourism subsidies offered through the state’s “Pure Michigan” ads. The title of a Mackinac Center analysis on the subject (2015) tells the tale: State Tourism Spending Ineffective. The study’s authors developed a statistical model using tourism promotion spending in 48 states to measure the impact that such subsidies have on tourism businesses and employment. The model reported that every $1.00 increase in state dollars promoting tourism yields around one penny of extra business for firms in Michigan’s lodging industry. When the net costs are considered, the program actually does more economic harm than good. Another study worth mentioning was performed in 2002 by economist Harold Brumm on selective favor-seeking activity by businesses (called “rent-seeking” by economists). Brumm examined data from the lower 48 states and found that “Rent-seeking activity retards economic growth, because it merely redistributes wealth; rent seekers (unlike profit seekers in a competitive market) do not create wealth.” He concluded that the more rent-seeking occurs, the slower the rate of real economic growth. One conclusion from Brumm’s findings is that when a state department like the MEDC encourages corporate rent-seeking, it may actually limit a state’s growth prospects. Given all these findings, the Michigan House made a prudent and rational choice in moving state tax dollars out of corporate welfare and into road repairs. The Senate should do the same. If senators hesitate then the burden of proof should be on them to produce systematic evidence —not fluffy agency brochures and anecdotes —­ that corporate welfare programs are a more effective use of taxpayer dollars than road repairs.